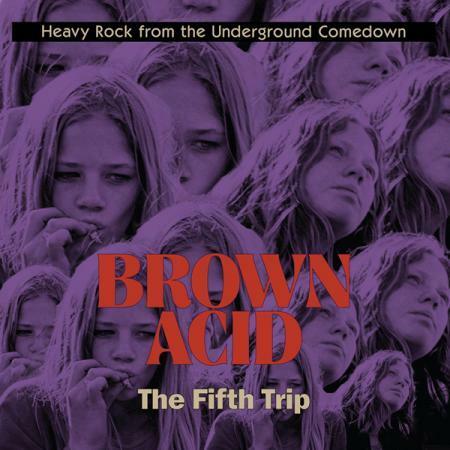 &amp;amp;lt;a href="http://ridingeasyrecords.bandcamp.com/album/brown-acid-the-fifth-trip"&amp;amp;gt;Brown Acid &amp;amp;amp;amp;quot;The Fifth Trip&amp;amp;amp;amp;quot; by Brown Acid &amp;amp;amp;amp;quot;The Fifth Trip&amp;amp;amp;amp;quot;&amp;amp;lt;/a&amp;amp;gt; The hits just keep coming—for this fifth lysergic journey, Riding Easy assembles ten heavy slabs of obscure rock the likes of which have never been seen before… not in this form, anyhow. And as usual, the tracks from these impossibly rare records have all been fully cleared through the artists themselves. Great lengths were gone to in order to get the best possible master sources, the worst case scenario being an original 45.